Following Cardinal Jorge Mario Bergoglio election as pope of the Catholic Church, news organizations have focused on his supposed humility and care for the poor during his time as archbishop of Buenos Aires. The anecdote circulated last week that he sold the mansion of his archdiocese to live in an apartment, and that he was prone to take public transportation to work and cook his own meals. The media has also focused on his decision to take the name Francis, bringing to mind the ministry of St. Francis of Assisi, who gave up his riches in order to serve the poor. However, his actions, or lack thereof during his time as head of the Jesuit order in Argentina in the late 1970s and early 1980s, suggest otherwise. During what is commonly referred to as Argentina’s “Dirty War,” which lasted from 1976 to 1983, an ultra right-wing military dictatorship took power and “disappeared” some 30,000 people, including an estimated 150 Catholic priests. Those taken were labeled communists and kidnapped, many tortured or murdered. Most of the priests that were taken involved themselves in liberation theology, the philosophy that the Church should help the poor by enacting social reform rather than the traditional view of simply giving charity. Accusations have arisen that Bergoglio, who was elected Provincial Superior of the Society of Jesus in 1973, was complicit in the kidnapping of two Jesuit priests who were working with the poor in the slums of Buenos Aires by identifying them as communists to the government. The two were tortured during their six months in captivity. The Vatican has denied these allegations, instead saying that Bergoglio helped in secret to have them released. The New York Times also reports that one of the Jesuits, Fr. 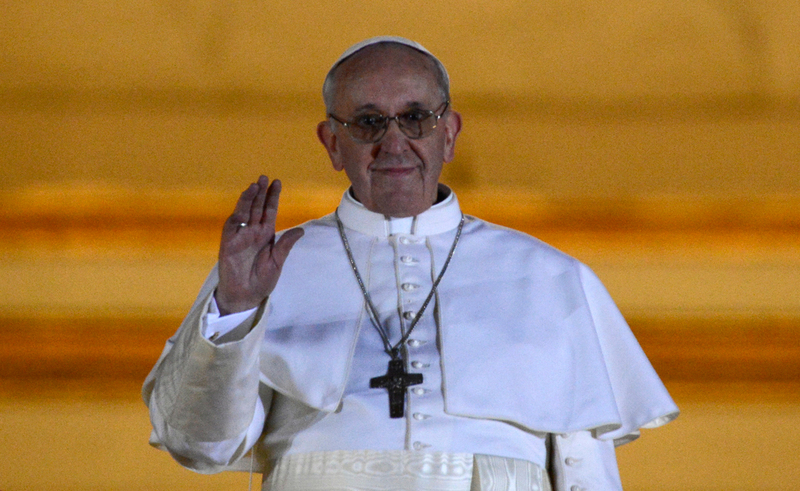 Franz Jalics, has stated that the new pope was not involved in the kidnapping. “These are the facts: Orlando Yorio and I were not reported by Father Bergoglio,” he said last Wednesday. However, Jalics did not deny the statement made by Yorio, who died in 2000, that Bergoglio had opposed their work in the slums because of his traditional views on Catholic charity. Yorio believed that Bergoglio could have done more to protect them from the government and chose not to. This contention sets up the framework for much of the criticism surrounding the newly elected pope’s time as head of the Jesuit order in Argentina. Many would have preferred the route taken by El Salvador’s Oscar Romero who was assassinated in 1980. He publicly opposed the fascist takeover of his country and did much work to help the dissenters rather than sit quietly while El Salvador was being ravaged by the military dictatorship. Some detractors relate Bergoglio’s public silence to Pope Pius XII’s lack of action to the Nazi uprising in Hitler’s Germany. These critics question what he will do if a similar situation comes to pass during his term as pope. While the counterargument posed by Bergoglio’s supporters is that it made more sense to work in private to help those being taken by the government, his silence suggests more of a focus on his bureaucratic rise in the Church. Such a lack of action in his past is grounds for great speculation. What can we expect from Pope Francis during times of crisis in his term if his earlier solution was to sit on his hands?